Sometimes when I change my ui design in text area and then hit design tab to see how is my changes, it doesn't show mt changes. Is there ant "Update" to force Design tab to redraw screen? You use Swing Designer or Android Designer? Please describe your steps for reproduce. 1- I create an xml file under res/layout. 2- I write my code under "Text" tab. So when I click on "Design" tab I expect screen rendesigns. But it still shows old design like above screenshot (component tree). I need to close the file and reopen it in order to see new design. 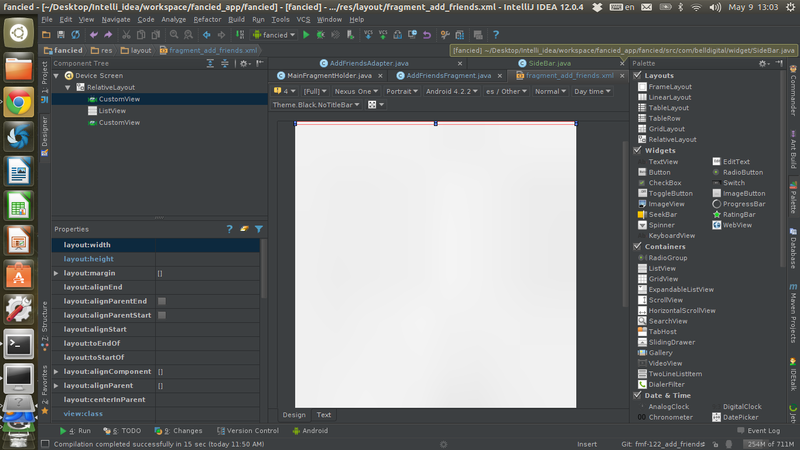 I'm using Intellij Idea version 12.0.4 Ultimate. Xmm, I don't reproduce your problem. Please try use last version IDEA.